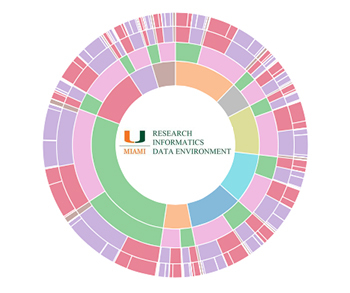 The University Research Informatics Data Environment, also known as URIDE, is a big data and visualization service – integrating de-identified data from the UHealth UChart system – that provides investigators with a single, secure, exploratory environment for all clinically and scientifically derived data for research at the University of Miami. The web-based system allows users to conduct searches by free text, ICD 9 and 10 codes, CPT codes, disease ontology concepts, drug terms and now labs. Medical School faculty with a Cane ID already have access to URIDE. An investigator may request access to URIDE for a member of his/her study team. That investigator will be held accountable for compliance with URIDE policy.